Have you ever seen or heard about these things? 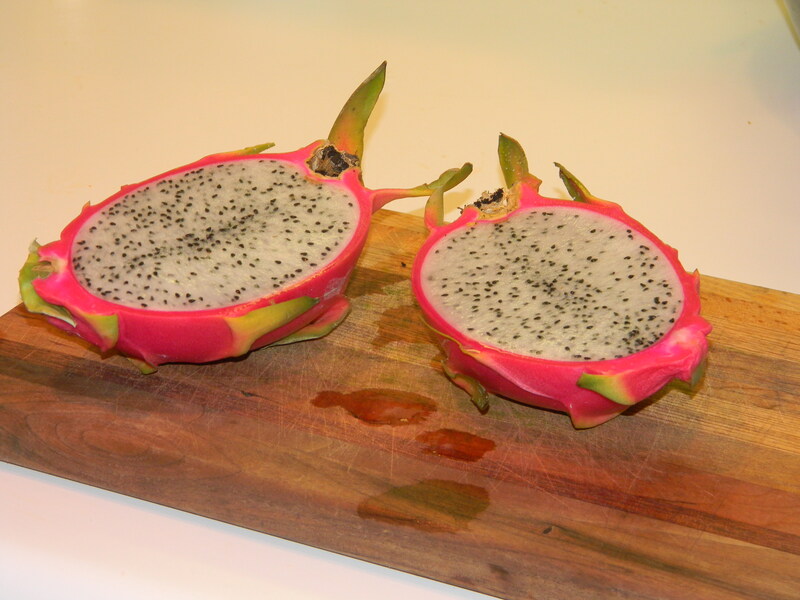 It’s commonly called a Dragon fruit, or a pitaya. They are apparently very popular in Vietnam, Indonesia, Central America and…Atlanta. He scooped out the flesh, with me lingering over his shoulder making hesitant, but interested faces. Then he chopped it up neatly, piled it back into the skin, drizzled some Cointreau over it, and served it up with a huge smile on his face. It’s so funky looking and so colorful that I feel sure he’ll want to serve this to guests. He loves the shock factor. It’s pretty tasty too – a little bland, but you could drizzle Cointreau on a stack of hay and I’d eat it. Most of all, it was a fun little dessert adventure. If you can find these crazy fruits at a market near you, go ahead and try one and let us know what you think! Isn’t food fun?! 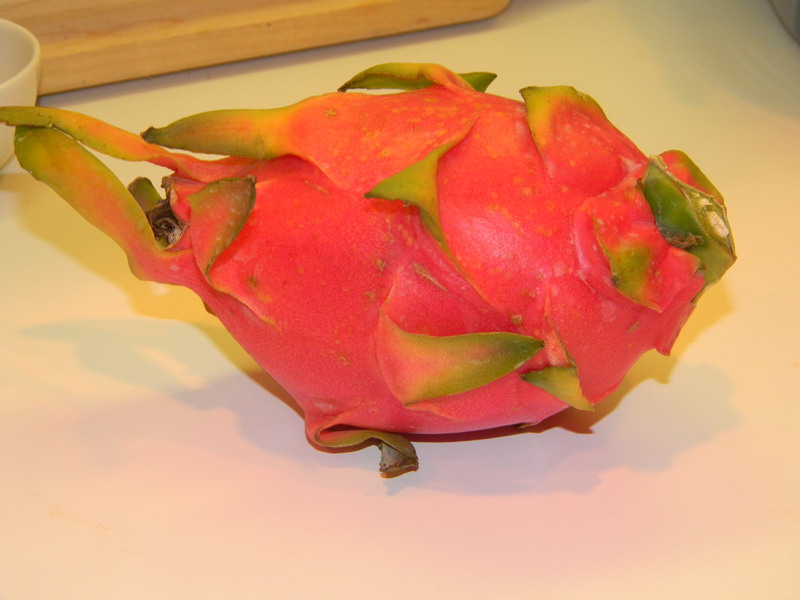 The dragon fruit is so pretty and colorful. Thanks for sharing. What a gorgeous fruit! I love you two very much! Gorgeous fruit! With it chopped up, it reminds me of rice. Very neat! 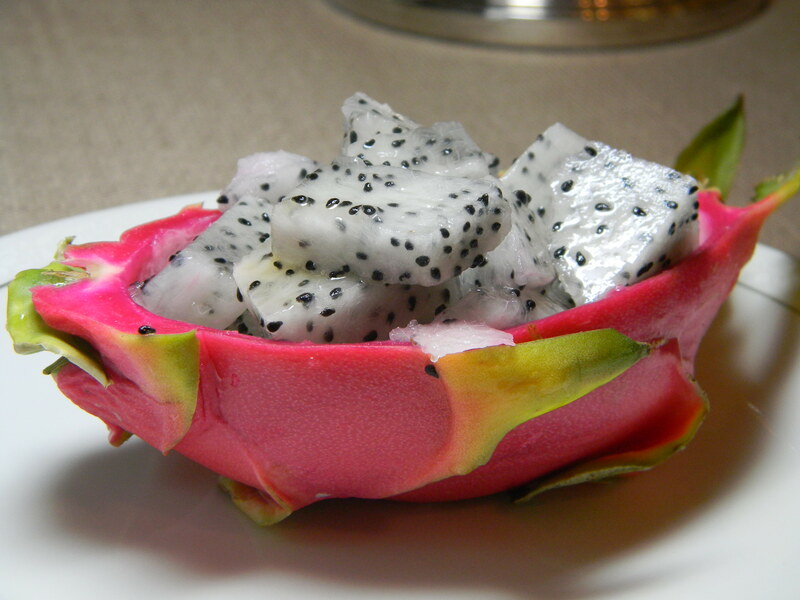 We ate some very wonderful things in Switzerland, but nothing so spectacular, so colorful as the dragon fruit. You two are so FUN! love you!